One of the primary tasks of early childhood is to develop Self Control. Self Control is one of the most important character qualities a student can develop. Young students are by nature impulsive. Some students have ADHD or other biological factors which increase impulsiveness. Part of the solution for impulse control is to learn Self Control. A student armed with Self Control has a tremendous asset for addressing life’s challenges. So many relational and personal problems can be avoided or controlled when one has Self Control. 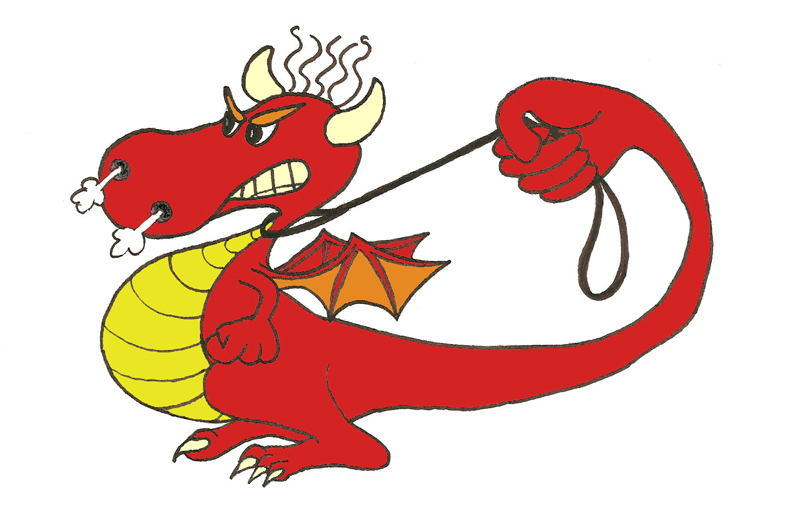 When the student demonstrates that he has mastered the characteristic of Self Control, he will be awarded a part of Dave the Dragon for his workbook. 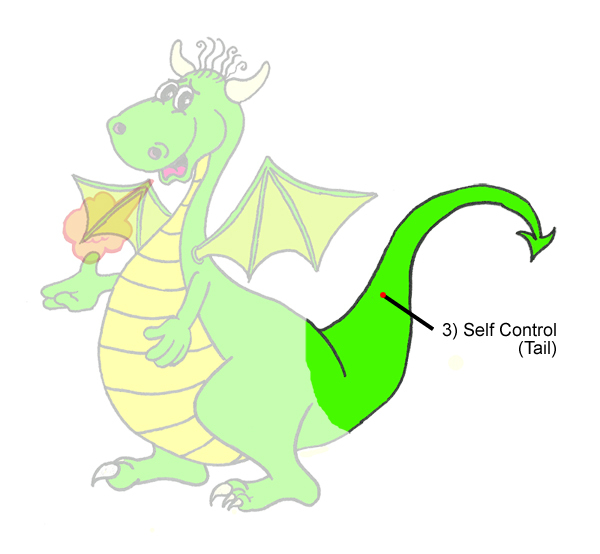 The part of Dave the Dragon representing Self Control is the tail. The tail balances the dragon and acts as a rudder when he flies. In this way, the tail provides control to ensure Dave the Dragon flies in the right direction.